Investing in Saudi Arabia? How to Make a Good Impression. No-one can deny the buzz created by Saudi Arabia’s plans to open its doors to increased foreign investment. The strategic opportunities offered by its geographical position, its wealth and grand plans to develop the private sector have inspired many international companies to start looking at the Kingdom as the next big thing. In the same way that Dubai sought to become a brand, and place in the world where people do business, Saudi Arabia too is embracing a similar route. Outlined in their ambitious 2030 Vision, the country is pursuing a stronger and more sustainable economy through the creation of diverse new economic sectors. They want to become a ‘go to’ place for global tourism and to create international centres of innovation that can help the country reduce dependence on oil revenue. 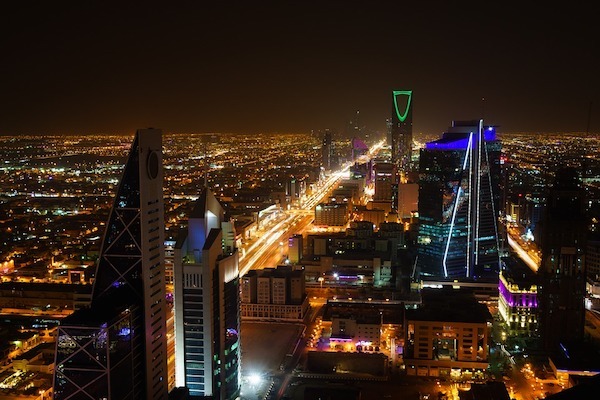 This is an exciting prospect, offering potentially lucrative returns for companies looking at investing in Saudi Arabia. However, before you jump on the next plane to Riyadh, it’s critical you go in eyes wide open. This is a country that has had a very insular history since its birth. It has tended to limit the influence of outsiders to safeguard its way of life as well as to maintain its status as protector of the two Islamic holy sites of Makkah and Medina. In comparison to some of its neighbours, doing business in Saudi Arabia needs a much more nuanced and culturally-informed approach. To make a success of Saudi Arabia, you need to be open. Open in your approach, thinking, judgements and with yourself. This is a unique part of the world where feelings, rapport and likeability have a great influence over people. Being open creates positive relationships and relationships mean business. If individuals don’t trust you and if they feel that they don’t have a good relationship with you then it is very unlikely that they will want to do business with you. If you go out to Saudi Arabia for business, then your counterparts will invest time building a trusting relationship with you; you will be only too aware that in the West, it’s not like this. We are happy to place our trust in the contract rather than the relationship and base our faith on a limited number of meetings. It’s very unlikely to pan out like this when you’re in Saudi Arabia, so be prepared for lots of conversations which are completely unrelated to business over many glasses of tea, lunches or dinners. Since getting to know you is very important to Saudis, you’re unlikely to get very far if you put barriers up. You will benefit considerably if you can demonstrate that you too value the relationship. Meet your counterpart as often as possible. Don’t feel that travelling to Saudi Arabia and then disappearing home again a week or so later is sufficient. Aim for an extended period in the country and do not rush into business discussions as this may give the impression that you are more concerned about the business deal than the relationship. Instead, allow your Saudi counterpart to move to business discussions once they indicate they are ready. Great subjects for conversation include areas such as football which is the number one sport in Saudi Arabia; their children, as they are typically family people (if you are male however, avoid asking about their spouse); and also the country itself. Saudis are very proud of their country and cultural heritage. Avoid, however, talking about anything related to topics which common sense dictates might be sensitive. Protecting the honour, face or reputation, of oneself, family, tribe or team, is very important in Saudi Arabia, far more acute than in many other parts of the world. Country pride also manifests itself in personal pride or honour, otherwise known as ‘face’. If you are of Western origin, then it’s really important that you pay particular attention to this as it has much potential to cause offence. This concept links back to tribal history whereby face and honour were ways of establishing rules and law around conduct and behaviour. Individuals make great efforts to protect not only their face, but also that of their family, group, tribe or team. Face can be both given and taken. For example, offering praise to someone elevates not only their face, but yours too as the giver of praise. Paying for the bill at a restaurant is a basic yet daily means of gaining face and enhancing your reputation for generosity. Showing good manners, a diplomatic disposition and eloquence with language are also the foundations of a good reputation in the region. Consider now the way in which we might communicate in the West. We are quite direct about how we say things and are not afraid to challenge ideas, show frustration or criticise people publicly in a group meeting. We don’t necessarily dress things up too much as we assume our feedback won’t offend people. In fact, we might even get a pat on the back for saying things how they are. In Saudi Arabia however, it’s typically not like this. To challenge someone publicly in front of their team or to become frustrated with them will undoubtedly affect their honour. Since individuals in Saudi Arabia also have a keen sense of group and kinship, such behaviour may also well damage the opinion that their associates have of you. As such, it’s really important that you are extra cautious as to how you raise issues or concerns. I’m not suggesting that you avoid these discussions altogether as clearly investments are a two-way thing and, as an investor, it’s essential your needs are also met. However, what I advise is that you don’t at any point show frustration and that you think carefully about how to address challenges. If the issue involves an individual, then discuss it with them privately. Don’t cause them embarrassment by saying anything in public, no matter how small you believe it to be. Something that you consider a small deal might actually be a big deal for them if raised publicly. Try also asking questions around the area of concern beforehand, making the effort to present the challenge as a shared concern for all parties with a collective responsibility for making it right. By removing any suggestion of blame you’re far less likely to offend and more likely to find support for putting things right. 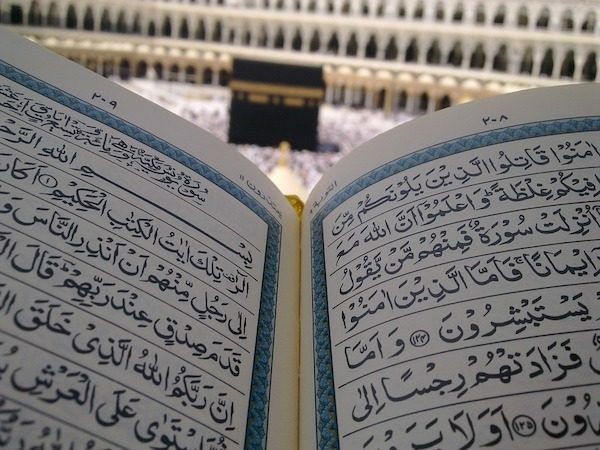 Islam plays a pivotal role in Saudi business and life – something companies investing in Saudi Arabia need to be aware of – as per the quote above from the online Vision 2030 document. By understanding the influence of religion and the way in which religious laws, duties, and beliefs filter into the professional world, you will be better placed to appreciate what is going on and to demonstrate an interest and understanding. Let’s look at how religion becomes manifest in business. The simplest example is the use of the Islamic calendar. The year zero is 622, the year in which the Prophet Muhammad and his early followers escaped persecution from the city of Makkah. The calendar is used in all forms of communication, whether in business, media or education. Another example relates to prayer. Following the call to prayer which happens five times a day, everything literally closes for 15-20 minutes to enable people to pray. In most cases, people will down tools and pray in congregation in the building’s prayer room. Another area is that of Sharia law. The Sharia is simply the Islamic body of law and regulations developed over time by scholars and Islamic jurists and it covers all aspects of life, including business. What is permissible or impermissible is very important and, consequently, almost everything in life is categorised as such. The principle of usury for example, is impermissible in Islam which has led to the development of Islamic Finance. These examples are all high-level indicators, but if you are looking to invest in Saudi Arabia, then take some time to understand the principles of Islam to ensure you avoid innocent ignorance which might otherwise risk damaging your relationships or venture. I don’t mean formal training by any means as some great online resources abound. A final area of importance which can cause the visiting investor a potential headache is the local approach to time. As I’ve already mentioned, relationships are considered more important than time and not only will your counterpart spend a lot of time getting to know you, but you will also find that getting things done takes a lot longer than you’re used to. Be prepared for this, as it is a common source of frustration for many foreigners. You simply have to accept that time doesn’t have quite the same value as it does in the West so don’t waste precious energy allowing it to upset you. Another interesting consequence of the local’s approach to time is their ability to multitask. Although foreigners from the West might see this as chaotic, the Saudis see it as dexterous and skilful. You might find, for example, that other people come into the room and start a conversation mid meeting, or your counterpart starts dealing with documentation unrelated to your discussion. A bugbear for many that I speak to is the practice of accepting phones calls mid meeting and texting. As with above however, go with the flow because this is just the way things work in Saudi Arabia. They are not doing it out of disrespect. With trust and relationships in mind, my principle advice is to try and be as open as possible when you’re there. This will really help you build the trusting relationships essential to getting things done. Also prepare culturally as much as you can. Your pitch might be amazing but if you fail to build relationships, or, if you damage them through lack of understanding then this will stymy even the most amazing offering. IOE&IT Member Neil Payne spent 6 years travelling, working and studying throughout the Middle East including two years in Medina, Saudi Arabia. He has spent the last 15+ years working as a consultant, linguist and advisor as well as running training courses on Middle East business culture for professionals around the world.